1.First of all Download Line Messenger App From Play store. 2.Login/Sign up on Line Messenger. 3.Now you will receive Welcome sms from Line India Official account,If not then search Line India from search Box. 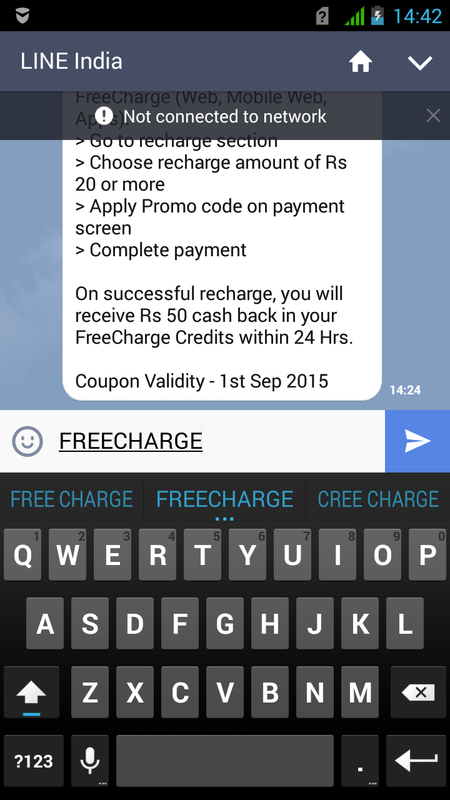 4.Reply or Sent FREECHARGE to Line India. 5.After a second you will receive 50 Cashback freecharge coupon.You can redeem it on Freecharge Web or Mobile app Both. 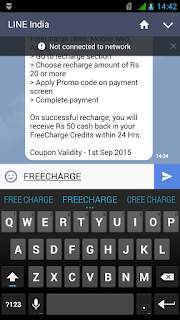 >>This cashback code is applicable only on minimum Recharge of 20 or More. >>Coupon Validity : 1st September,2015. 1.Go to Setting >> Apps,Search line app and Clear Data & Cache of Line Messenger. 2.Login/Sign up with another account. 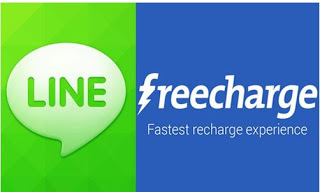 3.Send FREECHARGE to Line India. 4.You will receive 50 cashback coupon. 5.Repeat Steps 1-3 again to gain more coupons.